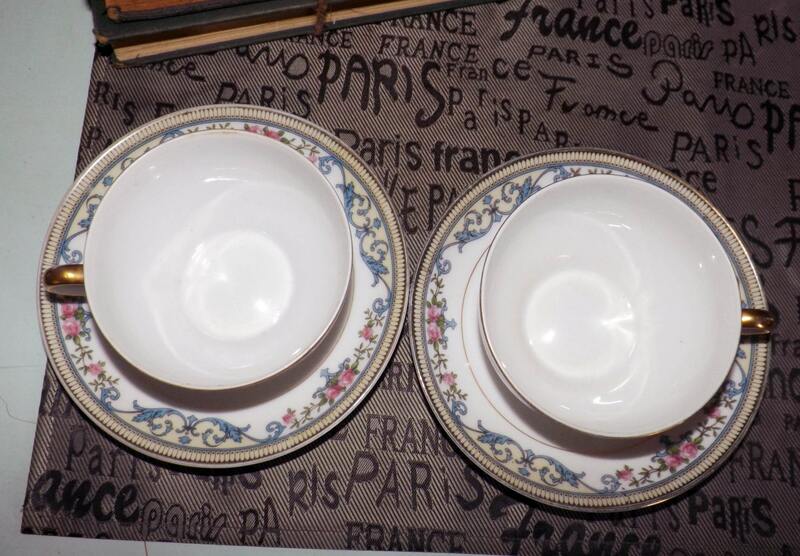 Pair of almost antique (1920s) Morimura Noritake Chanlake 68457 tea sets (flat cups with saucers). Pink roses, gold edge and accents. 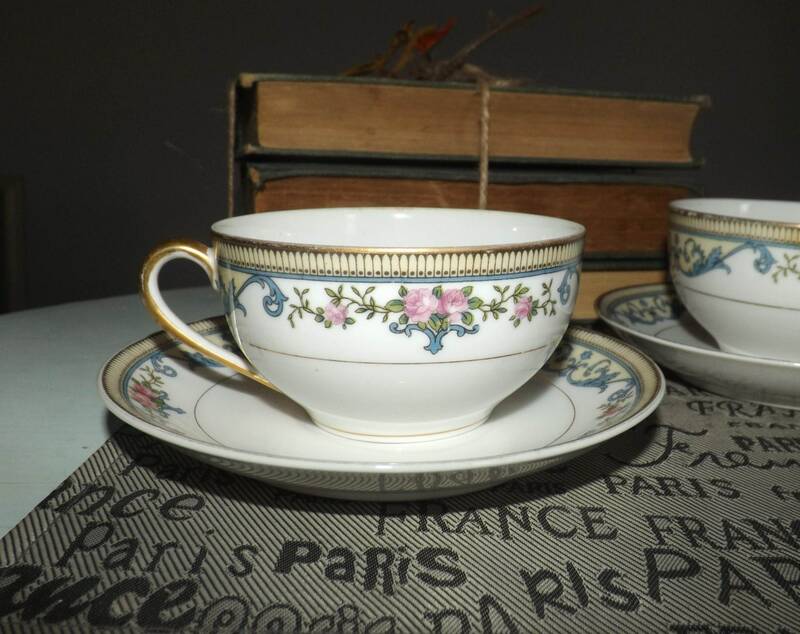 Pair of almost antique (1920s) Morimura | Noritake Chanlake | Chan Lake pattern 68457 art-deco style tea sets (flat cups with matching saucers). Chanlake features a garland of pink roses and blue swags with a yellow and black border, smooth gold edge and accents. In VERY GOOD! vintage condition. 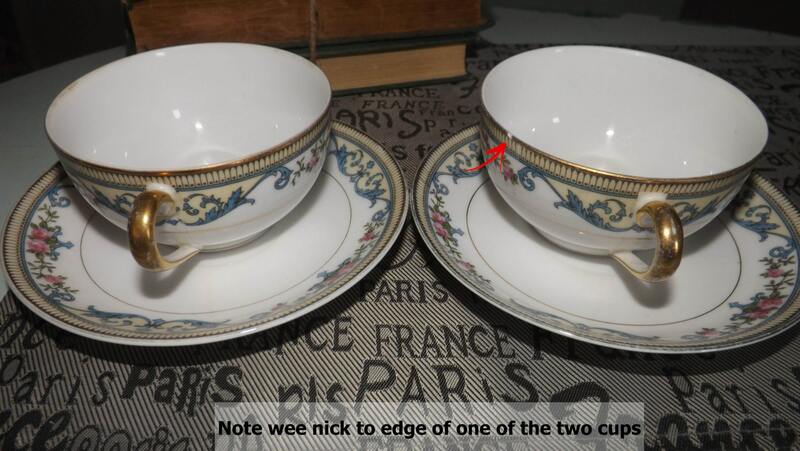 One of the two cups has a VERY WEE INDEED! fleabite to the edge (please see photo 2 specifically at the red arrow to draw your attention) but otherwise, there are NO! chips, nicks, or cracks, NO! crazing and NO! marks, stains, or scratches. There is LITTLE TO NO! 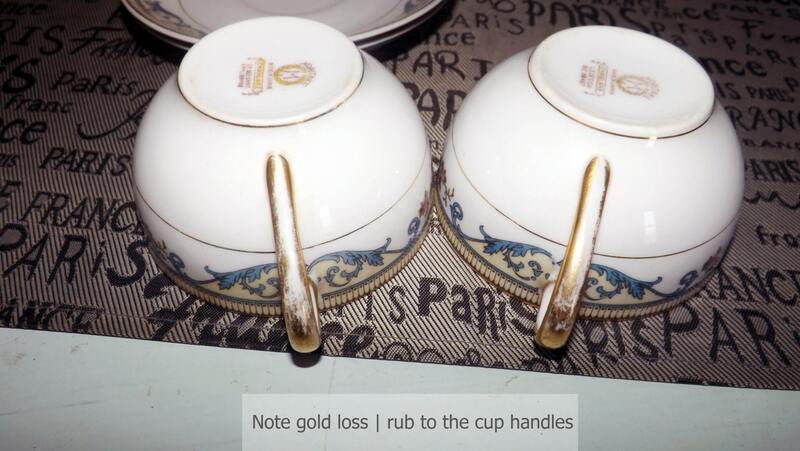 gold loss to the edge or inner band of the saucer but there is gold loss | rub off to the sides of the handles on both cups (please review photo 4 specifically for a close-up of the affected area of the handles). 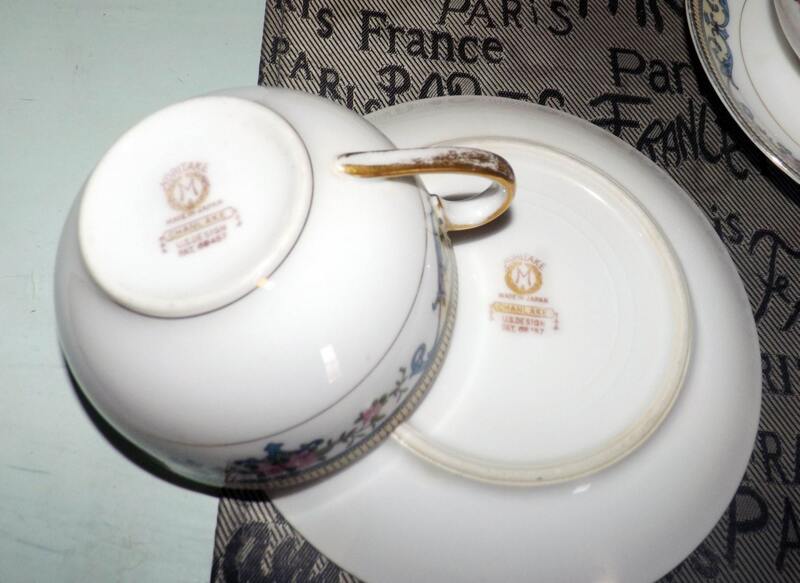 Approximate measurements: flat cup stands 2-5/8" with a wide 4" diameter cup bowl | matching saucer is 6-1/4" in diameter. Both pieces have a smooth, gold edge.